in Athens, GA. Pretty fitting, right? Last week I was privileged to present programs at Georgia COMO conference on my nature poetry books DEAR WANDERING WILDEBEEST and WHEN THE SUN SHINES ON ANTARCTICA as well as on food library programming related to FRESH DELICIOUS. Painting with asparagus... does it get any better?! One way to handle potential food allergies when doing food programming is to post outside the door a list of all the foods included in the program so that parents can decide whether to bring their kids in or not. 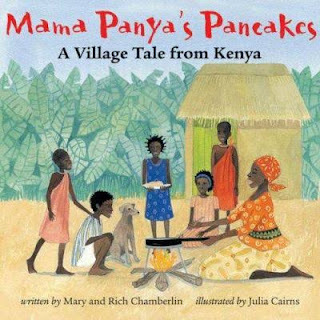 Also, one of my programming suggestions is built around the book Mama Panya's Pancakes: A Village Tale from Kenya by Mary and Rich Chamberlin, illustrated by Julia Cairns. I suggest having a Pancake party and including all sorts of other "pancakes" to bring a multicultural slant, like French crepes and Mexican tortillas and Indian flatbread. One of the librarians in attendance said she has used the book Will It Waffle? to host a Waffle (tasting) Party. FUN!! Great job, librarians! I look forward to creating more art and poetry with you in the future! Also: if you're ever in Athens, GA for breakfast or lunch, check out the restaurant Mama's Boy. So good! 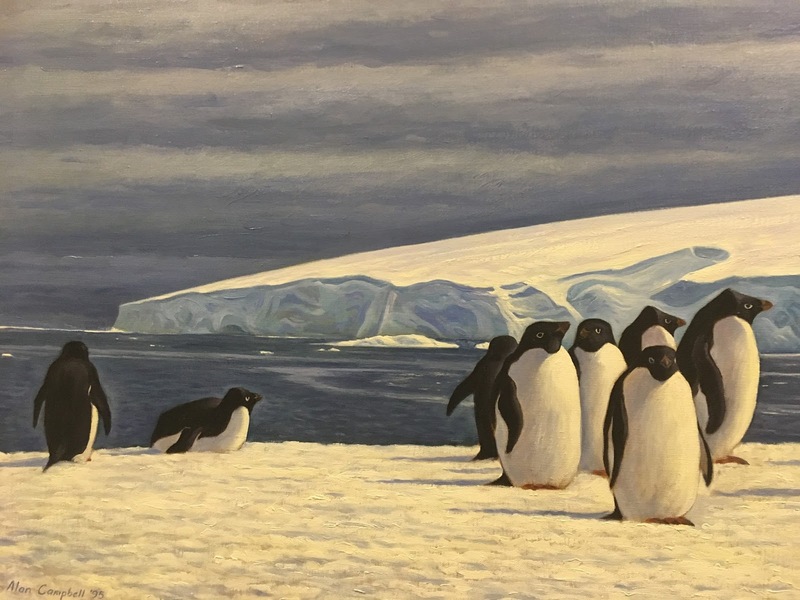 Penguin art outside your presentation room! Was that planted? I love the veggie art. Seems like you had a great time with the librarians in Georgia! I attended your presentation at COMO and was inspired to host pancake parties at our library system. In February we held nine pancake parties! We read and sang about pancakes, played pancake beanbag toss and Pin the Pancake on the Pig (based on Laura Numeroff's book,) and of course, tasted pancakes! We made sure to bring in your point about pancakes being an almost universal food, with round flat bread/cakes being eaten in so many different cultures. Our kids were able to taste pancakes with syrup, honey, lemon juice, or soy sauce! Thanks very much for the great suggestions! -S.Martin, Youth Services in Gwinnett County, GA.